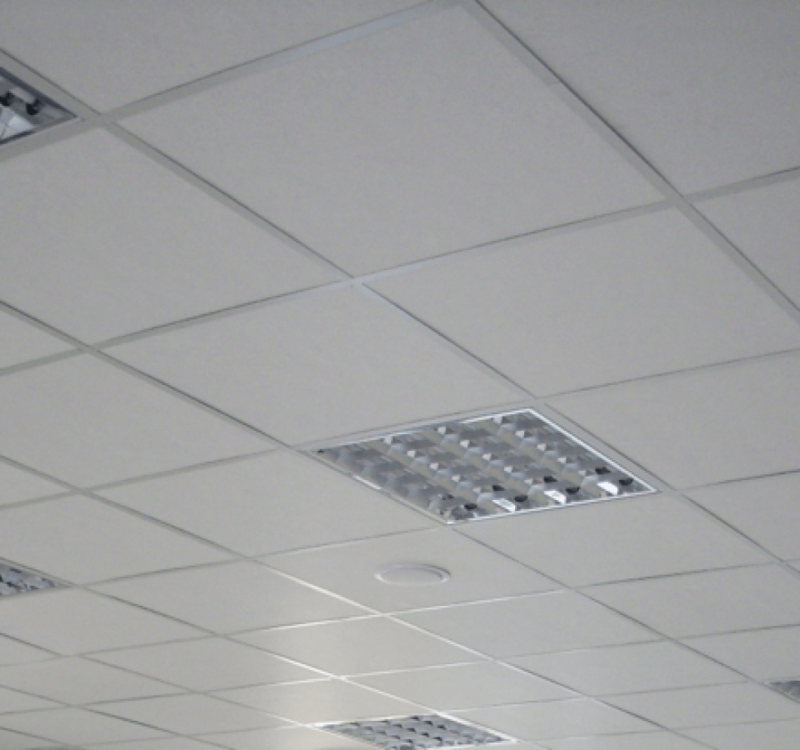 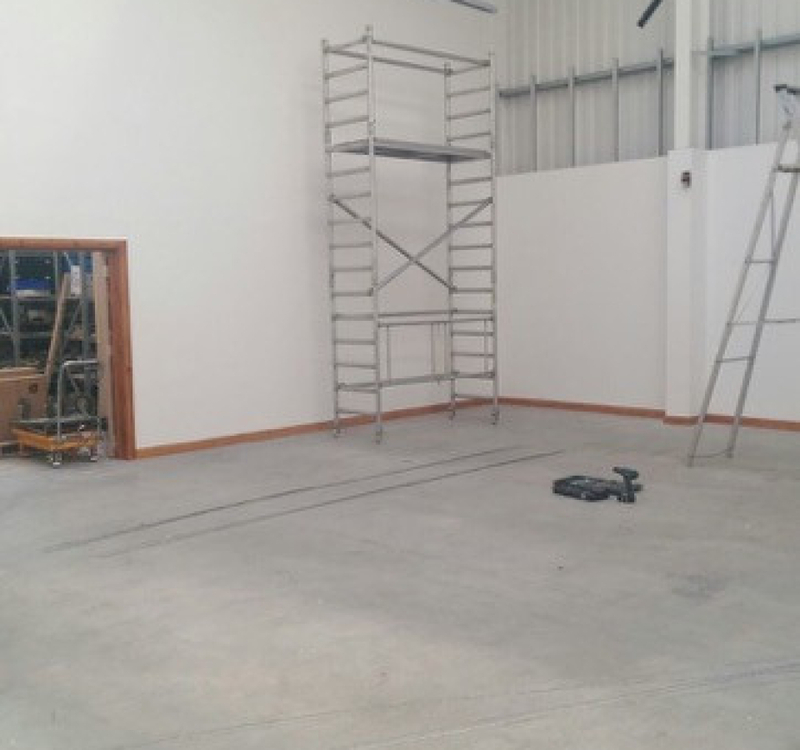 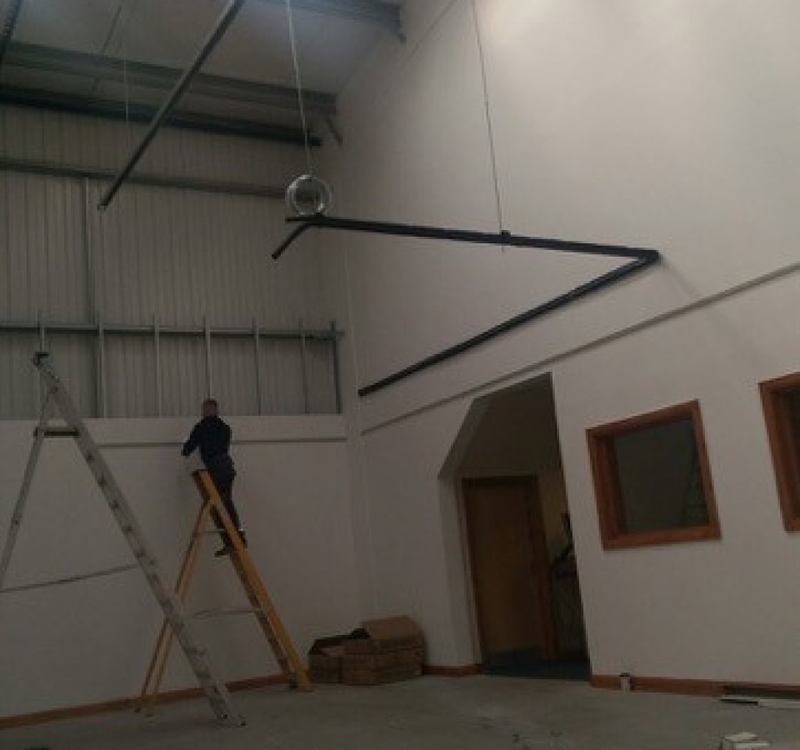 Our fitters have just completed a job In a large high-ceilinged warehouse space. 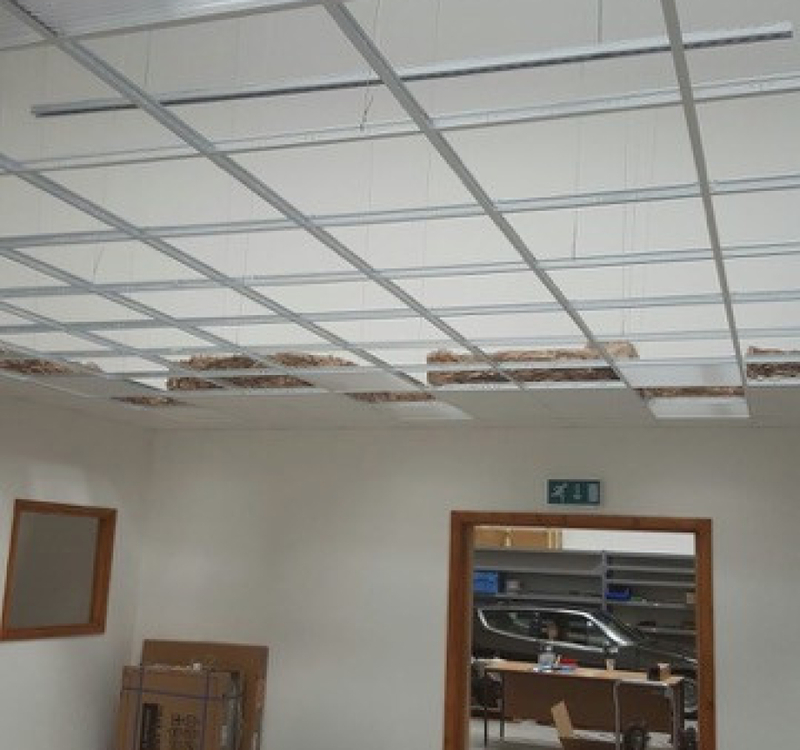 The customer wanted to fit a suspended ceiling, lower down, that would keep the heat in for the upcoming winter. 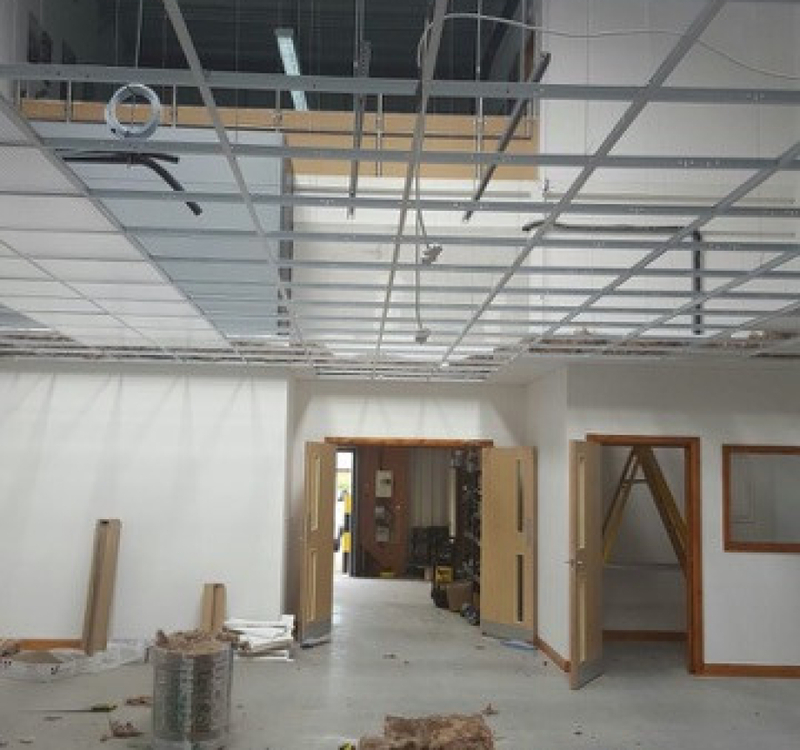 They fitted a full ceiling and grid with vinyl faced ceiling tiles and layed out rolls of insulation above the ceiling to keep the heat in . 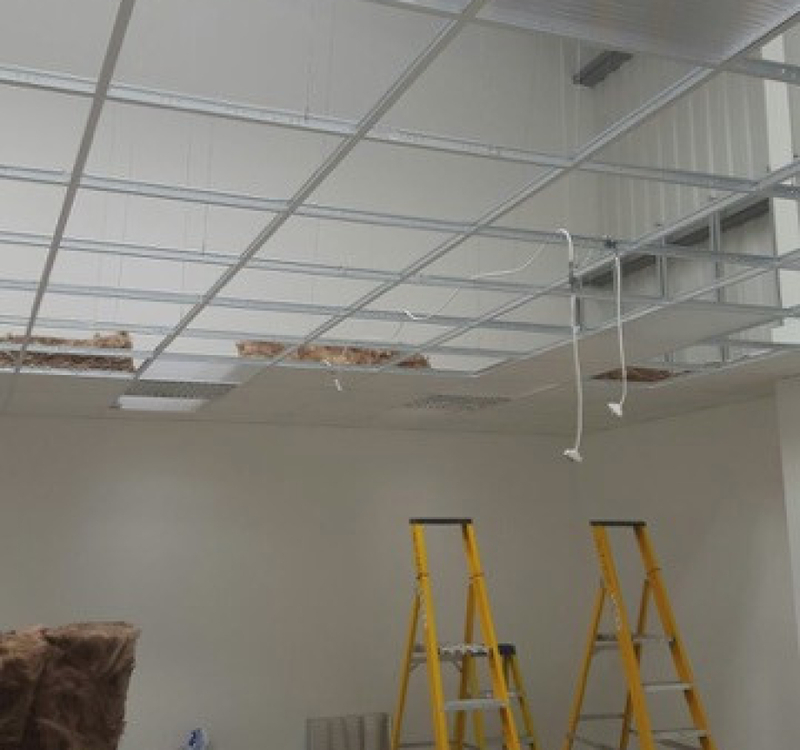 They also fitted 600 x600 Modular Lights.